To put it simply, we love what we do. You need only to listen to what our clients say to understand this. We are highly qualified each holding a Diploma in Remedial Massage (or Shiatsu) with an average 1,000 hours of professional education. Each therapist continues to extend their skills with ongoing industry training. Instant Health Fund rebates can be claimed for Remedial Massage through our HICAPS terminal – you only need pay us the gap. Massage is a great tool for maintaining a healthy body in our busy lifestyles. I work through your body to relax and rejuvenate tired and tight muscles, and most importantly de-stress your mind, so you can enjoy life again. I love pregnancy massage with a great understanding of the changes and strains an expectant mother faces. 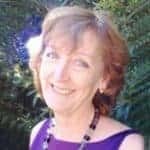 I have specialised training in specific massage techniques for those living with cancer coping with the demands of the associated treatments and surgery. In addition I work with the elderly and the unwell. If you have any questions feel free to call me at the Centre. Keith Brown is our Shiatsu therapist. He brings a wealth of experience in applying this Japanese massage therapy to ease the everyday stresses and strains of life. Keith first qualified in 1991 and joined our team over 23 years ago. Try his experience – Shiatsu can lift low energy levels, working on your meridians (like acupuncture). It often can relieves back and shoulder pain. Watch our video to see him working on one of our clients. Not content with one specialty Keith is also a Tai Chi, Bagua Zhang and Qigong teacher holding a Senior Instructor grade. Tai Chi keeps life in a healthy perspective. He runs many classes across Sydney. Keith is available for Shiatsu sessions on Thursday, Friday and Saturday. Diploma of Shiatsu, Senior Instructor 5th Degree – World Taiji Boxing Association. 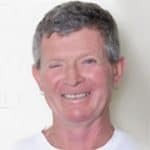 To find out more about Keith’s Tai Chi classes you can click through to his website here www.threecircle.com.au. My massage technique is holistic and a fusion of western and eastern influences. I combine an understanding of the modern science of remedial massage with a deep knowledge of the way your body's energy flows, from the ancient Chinese tradition. This tradition dates back many 1,000s of years. I trained in Remedial Massage at the Premier College in Caringbah. I enjoy a challenge particularly with deep seated chronic muscle tension. Like Thanya Chunhapiboolye I have come to Australia to take advantage of the many opportunities available in this great country. 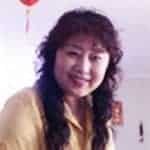 I am currently undertaking a degree in Traditional Chinese Medicine at the University of Technology in Sydney. I love seeing the positive changes that people experience through frequent massage. Contributing to the wellbeing of my clients is very rewarding work and is what encouraged me to become a massage therapist. Massage is proven clinically to improve a person’s way of life through relieving muscle tension and pain, improving circulation and calming the nervous system. I studied at the Australian College of Natural Therapies where I was a classmate of Jane McCubbin. My goal is to help you relax and destress from the many pressures of everyday life. I have experience in treating pregnant women, elderly clients, athletes and office workers. I have been a massage therapist for over 20 years. My skill in identifying and treating the causes of body pain is built on the science of anatomy, physiology and human movement. 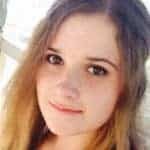 I combine well-established massage techniques with my own learning to connect with the body, mind and spirit of each of my clients. Massage practice continues to evolve with exciting developments in areas like fascial release. Even after two decades I continue to learn new skills. I feel blessed for having a gift for healing and contributing to the wellbeing of my clients. I specialise in several areas of massage - including people suffering from stress, anxiety and depression. Also I work with people who have lymphoedema, that is a compromised lymphatic system caused by surgery eg. breast cancer that causes a back-up of fluid causing swelling. For people who are injured at work I am accredited with WorkCover NSW and the major workers compensation insurers. My interest in therapeutic massage was sparked at the time I worked in the corporate environment. I enjoyed regular massages as a powerful antidote to the pressures of a busy job and they kept my energy ticking over and kept my mind focused. So impressed by the benefits I experienced, I took up massage studies and graduated with a Diploma of Remedial Massage in 1997. Several years later I took the plunge, changed careers and joined Thanya working as a massage therapist. 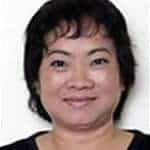 Michael is a qualified Chinese herbal medicine doctor, acupuncturist, remedial and sports masseur. 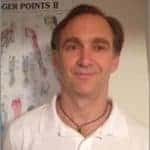 He has a Bachelor’s Degree in Health Science (TCM) from the University of Western Sydney and a Diploma in Remedial Massage (Australian College of Natural Therapies). Michael has worked with athletes and physiotherapists and takes an evidence based perspective to clinical treatment. Michael prefers an integrated medicine approach to treating health (Western & Chinese medicine), and he believes in working together with other therapists and medical professionals with regards to achieving the best patient outcomes. 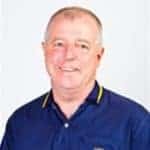 Michael is registered with the Australian Government Health Practitioners Regulation Agency (AHPRA) as well as being a member of the Australian Traditional Medicine Society (ATMS). He is also registered with all Australian Health Funds.